The Study Group Program has two options. 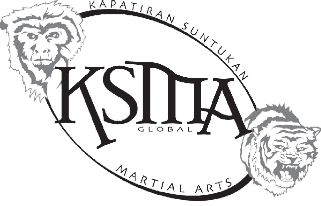 The KSMA Instructor Development Program is for anyone wishing to learn Personal Survival Tactics or Aneh Palu Kali-Silat as taught at seminars and teach it to interested parties with KSMA endorsement. This will be accomplished with a combination of distance learning and seminars for those not in the same locale as Terry. Upon entering the Instructor Development Program, the student will be given the first level of the curriculum they choose to study and will be given permission to form the Study Group. Video progress updates will be sent to either Terry to be reviewed and comments made for the student. Subsequent levels will be offered when the Study Group Leader meets the skill sets laid out in each level. Leaders of the Study Groups will also meet the requirements of KSMA membership to maintain eligibility. Those who train with the Study Group Leader that have not had a face-to-face meeting with either Terry are not members of KSMA until after such time as an introduction can take place and they meet the criteria laid out for inclusion in the group. The second option is for people who are in an art other than what we offer. We see this as a research and development lab to take your art to whatever level you wish to. We will provide insight, critique, and encouragement in an environment where you can delve deeper without judgement. You can pick any aspect of your art to explore for in-depth study, provide an idea of what you look to discover and send a video of your study. If desired, we will share this with the whole group for discussion, otherwise we can provide feedback on your premise and findings to help you grow within your art.